On April 10, 1919, Pope Benedict XV gave formal approval for the church’s recognition of Mary under the title Our Lady of the Atonement. 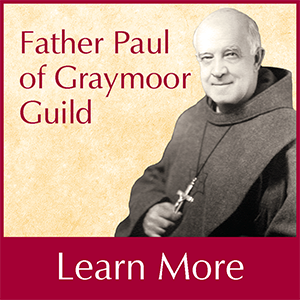 Servant of God Father Paul of Graymoor, Founder of the Friars of the Atonement, had a long and deep devotion to the Blessed Mother, and he was the first to invoke her by this title. Father Paul was focused on Mary at the foot of the Cross when Christ made her the mother of all humanity, and emphasized her work for unity and her intercession on behalf of all people with God, in Christ. We salute you, Virgin Mother of God and Son, and entreat you to obtain for us such union with the Sacred Heart of Jesus that our own hearts may burn with love of God and an ardent zeal for the salvation of souls. 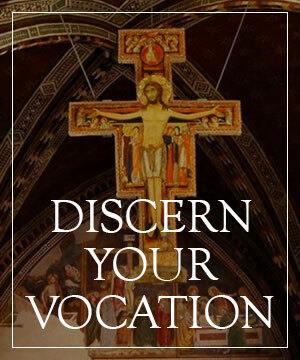 We salute you, Immaculate Spouse of God the Holy Spirit, and entreat you to obtain for us such yielding of ourselves to the Blessed Spirit, that He may, in all things, direct and rule our hearts and that we may never grieve Him in thought, word or deed. As Our Lady of the Atonement, she is depicted wearing a golden crown or a crown of 12 stars and red mantle to signify the Precious Blood of Jesus, which brought about the atonement for sins and enabled humanity to be at one with God. She holds in her arms the Christ Child who holds a cross in his right hand. Her image was painted by Giovanni Martini in 1929 and by Mother Margaret Mary Nealis in 1933. Several shrines and statues at Graymoor are dedicated to the devotion of Our Lady of the Atonement. Stained glass windows at the St. Francis Chapel at Graymoor commemorate the Friars and Sisters devotion to Our Lady of the Atonement. 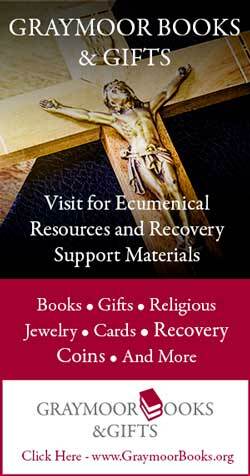 On June 14, 1946, the Sacred Congregation of Rites approved the Mass and Office for Our Lady of Atonement to be celebrated annually on July 9, in recognition of the date on which Fr. Paul had received the name for his Society and the Scripture text: “And not only so, but we also joy in God through our Lord Jesus Christ, by whom we have now received the atonement” (Romans 5:11). The intercession of Our Lady of the Atonement will aid in obtain the fullness of reconciliation through the Atonement of Jesus Christ, her son, our Lord and in following God’s will to preserve unity and peace. Her loving and merciful example guides us and gives us strength.